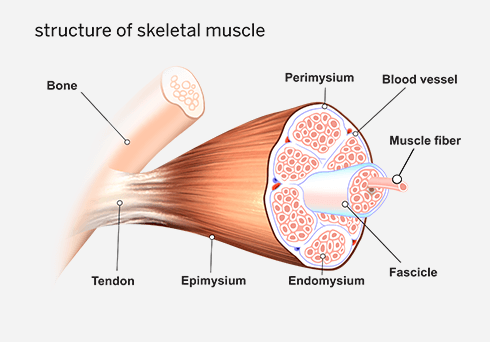 Fascia is connective tissue fibers - primarily collagen - that form sheaths or bands beneath the skin to attach, stabilize, enclose, and separate muscles and internal organs. Fasciae are similar to ligaments and tendons as they are largely made up of collagen. They differ in their location and function, though. Ligaments join one bone to another bone, while tendons join muscle to bone and fasciae surrounds muscles and other structures. Fascia forms a whole-body, continuous three-dimensional matrix of structural support around our organs, muscles, joints, bones and nerve fibers. Fascia is directly related to movement, as it helps to support the muscles by transmitting force throughout the body. The fascial arrangement, similar to a spider web, also allows us to move in multiple directions. But this connective tissue does much more than simply help transmit forces that drive movement. It also helps the nervous system with quick responses, and is a key component in supporting the body during repetitive tasks. A runner will have dense fascia in the calves to support running, a weightlifter may have dense fascia in the back to support weightlifting, and a sitter will have dehydrated and “sticky” fascia in their glutes to support sitting. Every bone has muscle and fascia that surrounds it, and every joint has a muscle and a tendon that supports it. The fascia specific to our muscles is referred to as myofascia. By focusing on fascia, we can directly impact the muscles and ultimately our ability to move properly. 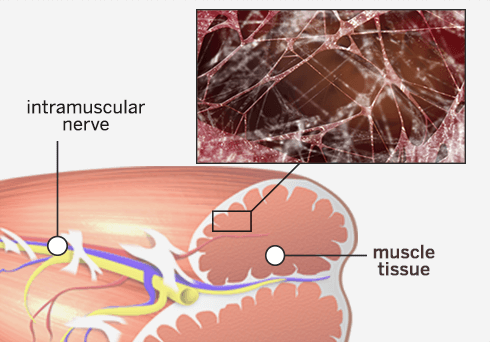 Unhealthy fascia leads to aches, pains, and even injury. 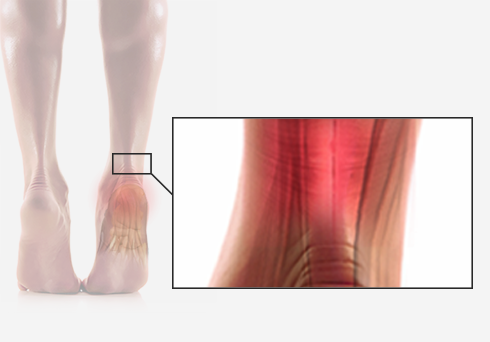 In fact, many injuries seen today are caused by either overuse or underuse of the connective tissue system. In most cases this occurs in the tissue that receives less blood flow and is more supportive in nature, which is the fascia. If someone who has been sedentary for some time begins a training program that requires box jumps, it is likely that the connective tissue in the calves are not prepared to slide and support the movement adequately, which could easily lead to injury. A common theme in exercise today is to work out as hard as you can and that everybody can do it. Unfortunately, this is untrue. If the body is not prepared to or used to utilizing each muscle and joint the way it was intended, then something will break down. A strain is an injury that occurs in the muscles or connective tissues that attach to muscles (tendons). In most cases a strain results from overuse of a particular muscle. In fact, overuse injuries are some of the most common injuries seen today both in athletes and the general population. Overuse injuries occur because that particular area of the body has been overworked, likely due to improper movement somewhere else in the body. Struggling with Plantar Fasciitis? These products may be help you recover. To learn more about it, check out one of our other blog articles HERE.